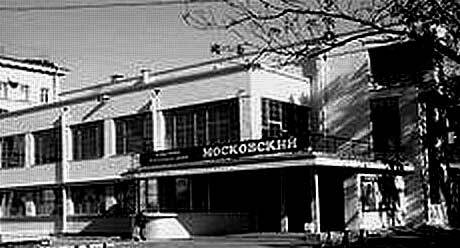 Nevsky House of Culture: Prospect Obukhovskoi Oborony, 105. Narva Triumphal Arch: Ploshchad Stachek (Square of Strikes). 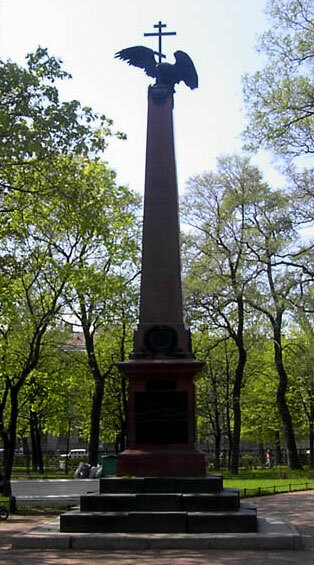 Monument to the Heroes of Krasnodon: Liflandskaya Dlitsa, 8 (8, Liflandskaya Street). Warsaw Railway Station: Naberezhnaya Obvodnovo Kanala, 118 (118, Obvodny Canal Embankment). The station was built in 1857 by the architect A. I. Krakau. 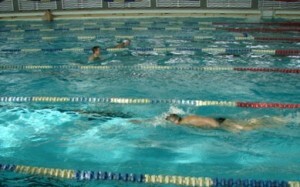 Long distance . 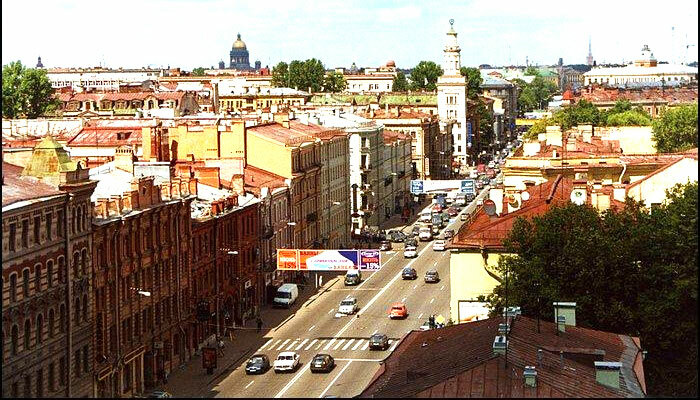 trains leave for Gdov, Tallin, Narva; suburban trains run to Petrodvorets, Lomonosov, Gatchina. Vitebsk Railway Station; Zagorodny Prospect, 52 (52, Zagorodny Avenue). 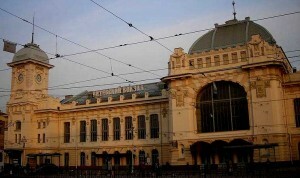 The station was constructed in 1904 by the architect S. A. Brzhozovsky. From here longdistance trains leave for Odessa, Kiev, Gomel, Mariupol, Minsk, Vitebsk; suburban trains run to Pushkin, Pavlovsk, Viritsa and Oredezh. After their return from the Fourth Congress of the Russian Social-Democratic Labour Party (known as the Unity Congress), in May 1906, V. I. Lenin and N. K. Krupskaya lived in this house. Arctic and Antarctic Museum: Ulitsa Marata, 24-a, (24-a, Marat Street). 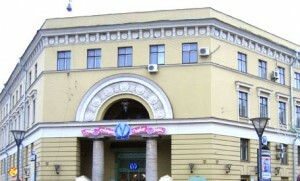 The station in the Vladirnirskaya Square, was designed by the architects G. I. Aleksandrov, A. V. Zhuk and A. I. Pribulsky. The architectural decoration of the station embodies the growth of the material well-being of the Russian people. Towstonogow Bolshoi Drama Theatre (A. M. Gorky Bolshoi Drama Theatre): 191023 Naberezhnaya Fontanki, 65 (65, Fontanka Embankment). The obelisk was set up in 1908. 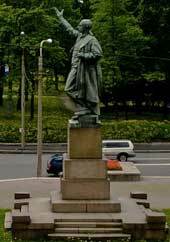 The author of the memorial was the sculptor A. L. Ober. 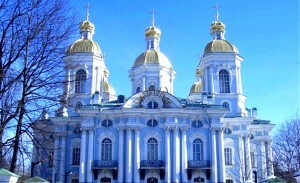 Nikolsky Sobor (Cathedral): Ploshchad Nicolckaya (Nicolckaya Square). The Nikolsky Cathedral is an architectural monument; it was built in 1753—1762 by the eminent Russian architect S. I. Chevakfnsky. The beautifully proportioned, light and elegant bell-tower of the cathedral is one of the masterpieces of the 18th century architecture. Ensembles of New Dwelling Houses in Malaya Okhta. 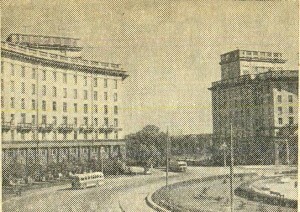 Moscow Railway Station; Uprising Square. Ploshchad Vosstaniya (Uprising Square) Underground Station. Nevsky Prospect, 68/40 (68/40, Nevsky Avenue). Sculptural Groups by P. K. Klodt on Anichkov Bridge. The Vaganova Ballet Academy. 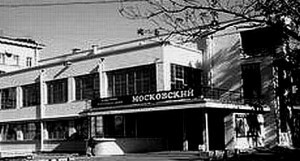 (A. Y. Vagdnova Chorea graphical School); A. V. Lunachdrsky Theatrical Library; A. N. Ostrovsky Theatrical Museum: Ulitsa Zodchevo Rossi, Ploshchad Ostrovskovo, 6 (6, Architect Rossi Street, Ostrovsky Square).